Everyone loves garlic bread. 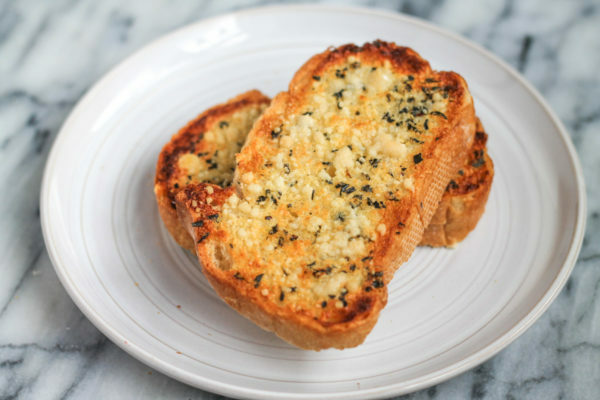 I am sharing my recipe for the best garlic bread. 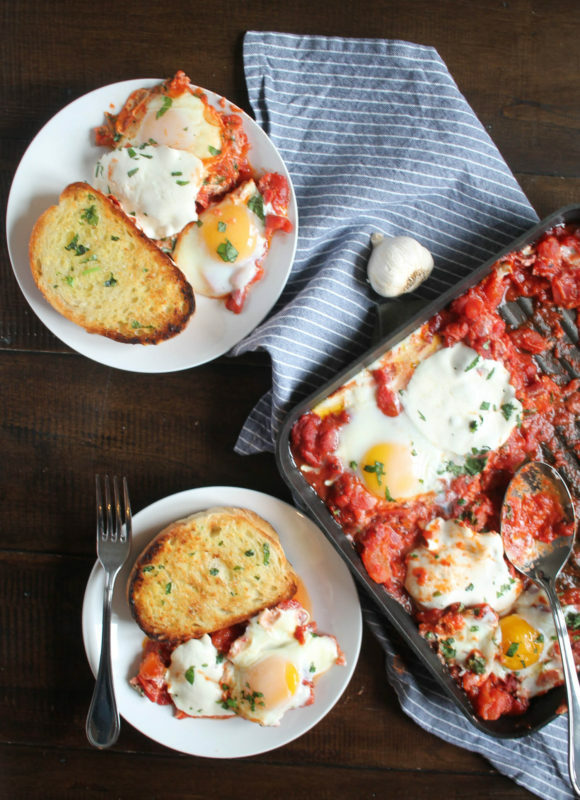 This is my go-to recipe and I love it because it comes together quickly and can be served so many ways. 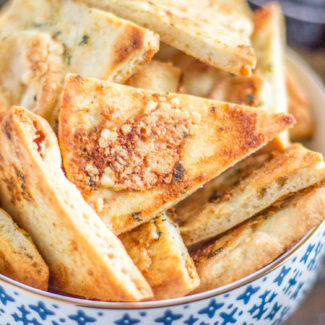 Did you know that you can make delicious garlic bread in just about 5 minutes?! 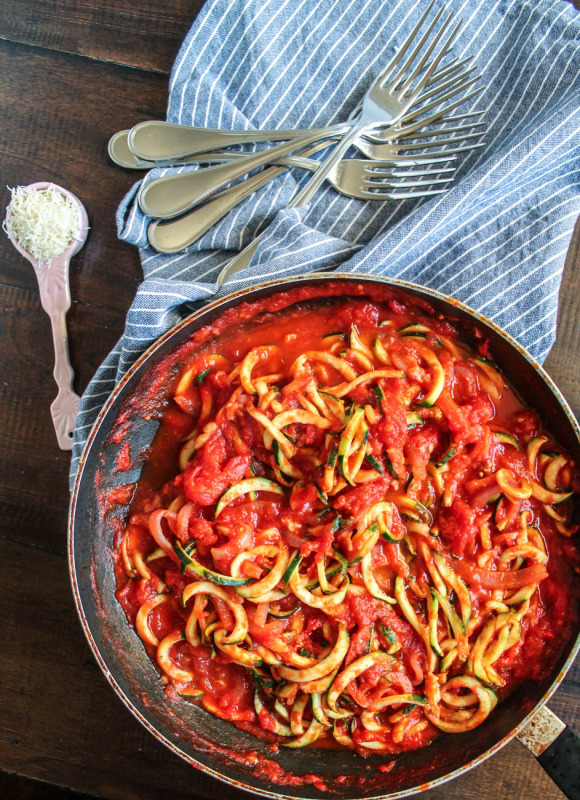 It’s the perfect side to serve with pasta since it tastes even better when slathered in tomato sauce. 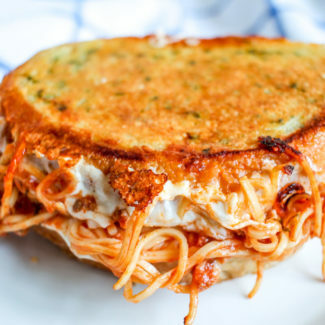 Last night I used this recipe to make garlic bread to accompany the zucchini noodles in bolognese sauce that we ate for dinner. 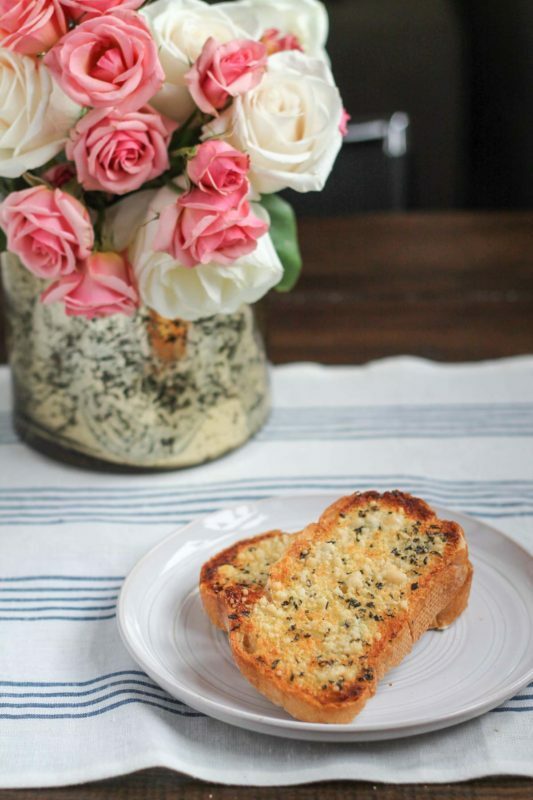 After some experimenting, I have determined that this is the best garlic bread recipe – it’s simple to make and relies on ingredients you probably have at home already. 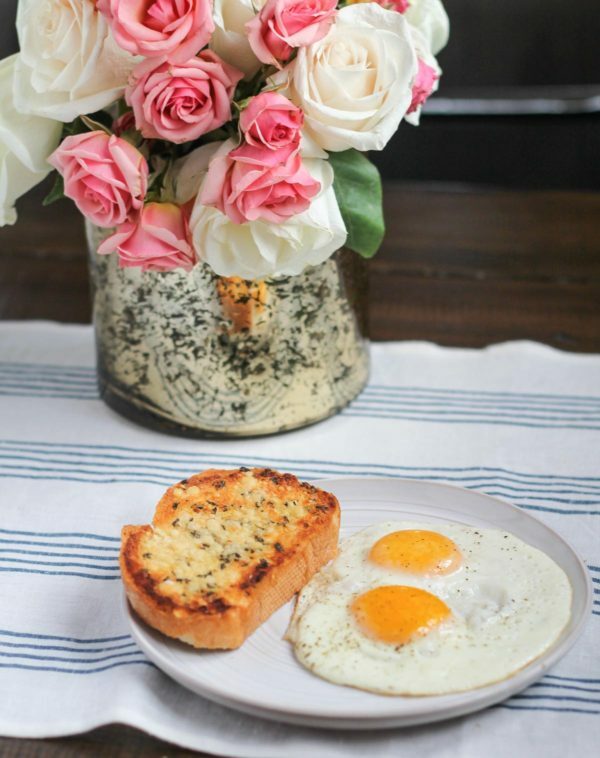 It is made with butter seasoned with fresh garlic, onion salt, and basil, and the bread gets topped with just a bit of Parmesan. 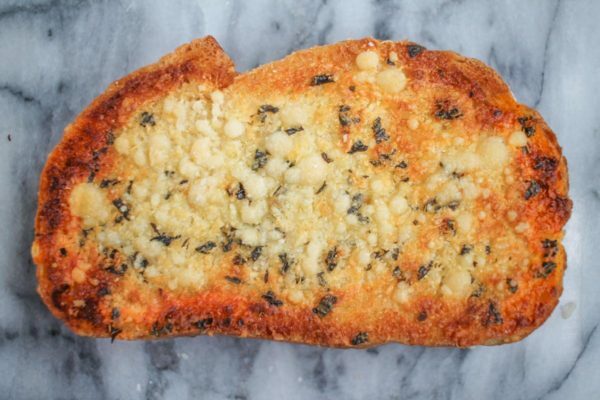 It’s buttery, garlicy, and cheesy and it gets a flavor boost from the onion salt and basil. 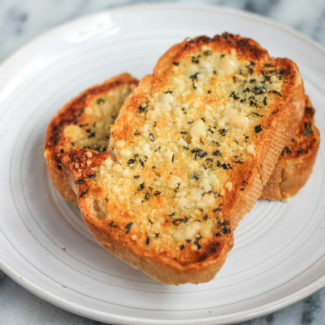 The most important ingredient when making garlic bread, is the bread. You want a loaf of soft Italian Bead. 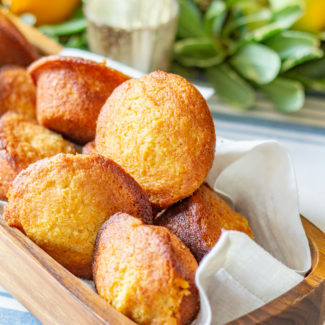 The soft texture of the bread helps it to soak in the butter and garlic. Make sure that you don’t buy sliced bread, because you will want to cut extra thick one inch slices. I get my bread from the bakery at my grocery store. 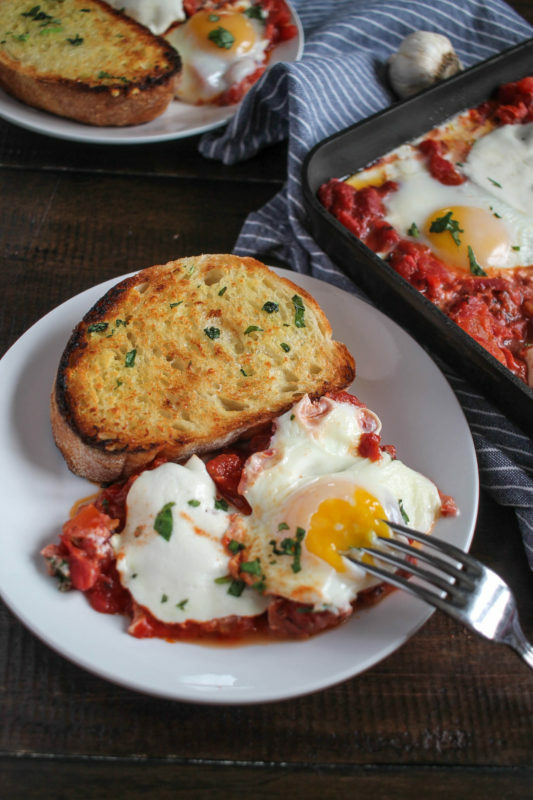 I know people tend to eat garlic bread with dinner, but it is also wonderful at breakfast. 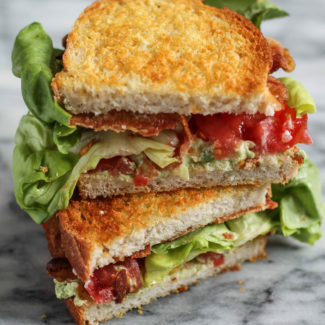 Use it as base for your avocado toast, or dip it in a runny egg yolk. 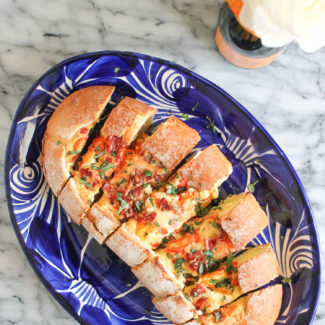 Top garlic bread with scrambled eggs. 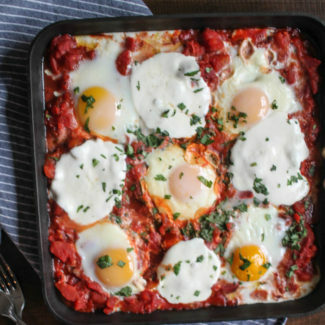 Or serve it alongside eggs in purgatory. 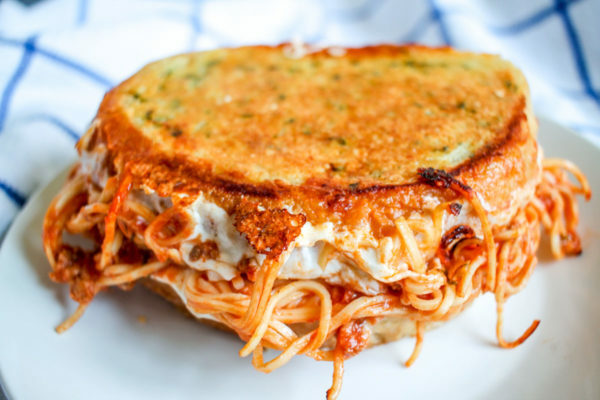 You can even use the butter, garlic, and herb mixture on butter bread when making grilled cheese – this is how I make my Spaghetti Grilled Cheese (a recipe that has become shockingly popular). Now, I realize that this might be a matter of personal preference, but I like to toast just the top of the bread. I love when the bottom of the bread remains soft and able to easily soak up sauces. It also cuts the amount of butter on each slice of garlic bread in half. 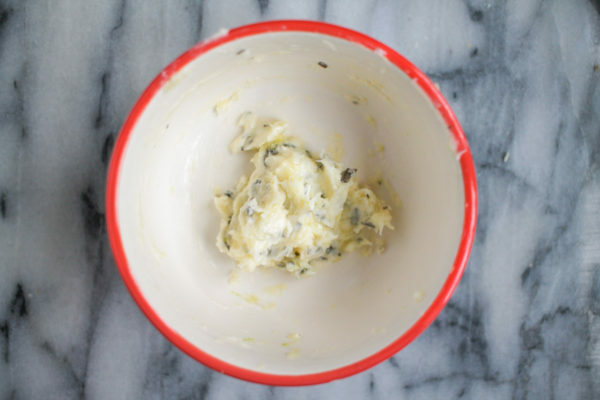 First, place the butter in a small microwave-safe bowl. Microwave the butter for 5 seconds. You do not want it to melt, you just want it to be a little warmer than room temperature. Then use a garlic press or microplane to mince the garlic. Add the garlic to the bowl with the butter, and then add the onion salt and basil. Stir to combine. 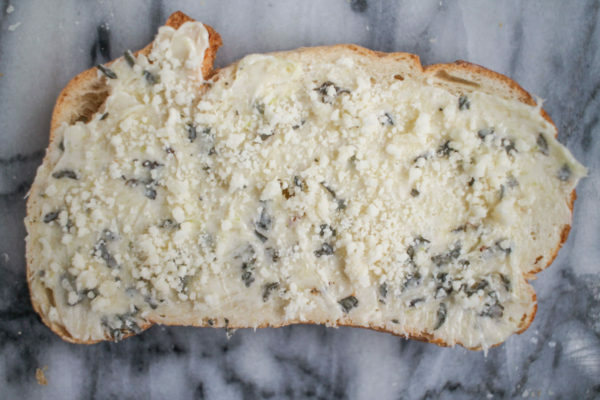 Spread the butter on one side of each slice of bread. Sprinkle the Parmesan over the top, and gently press it into the butter. Place the bread on a baking sheet, garlic side facing up. Put it in the center of the oven and turn the oven on to low-broil or broil. Keep a careful watch on the bread, after 2-4 minutes it will be toasted. Serve right away.